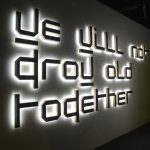 ‘We Will Not Grow Old Together’ mimics the display and function of signage and evokes an urban typology that is at once familiar and accessible, while also suggesting an alternate ethos or way of thinking of another time and place. While the work doesn’t behave like typical signage – it doesn’t announce the name of the building nor declare the building’s function – it is assertive and aware of its immediate context in the neighbourhood of Inglewood. ‘We Will Not Grow Old Together’ is a small monument to the inevitability of change – both positive and negative – to an urban centre. The Canadian Forces Artists Program (CFAP) was launched in 2001 to embed artists alongside Canadian troops. Unlike earlier official war art programs, CFAP does not exhibit or collect the work produced by artists who volunteer for the privileged access it offers. The exhibition Terms of Engagement: Averns, feldman-kiss, Stimson presents work by three artists who have recently been deployed to conflict zones as CFAP participants. ‘I AM A HOLE IN WALLS OF BUILDINGS’ is an installation which uses sculpture, light, kinetic devices, sound, and re-appropriated objects to create a framework for an emotional and reflective experience. Located in a highly visible yet inaccessible window space, the work depicts a variety of unremarkable yet familiar desires and failures and is absorbed in a contradictory and compulsory relationship with loss, longing, and loneliness. At first blush Cynthia Girard’s work is a candy-coated world of animals, birds, and simple political slogans: cute but not threatening. But do not be fooled: Girard uses colour, pattern, and the reassuring forms of small beasts to disarm. On closer look this work deals in class struggle, social utopias, and the game of politics and power. Her paintings and sculptures borrow from the lineage of Political Theatre: theatre by, of, and for the people. Girard picks freely from Western history to select costumes and props, bringing together a commanding cast of unlikely characters, settings, and struggles with an absurdist hand and a comic voice, creating something that sparkles like a fairy tale, but delivers the somber punch of social satire. Doubting Thomas is a constellation of works from Stuart’s unfolding project that considers the difficulty and possibility of mapping geometric abstraction onto the human body. 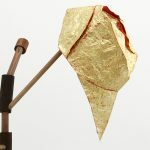 The exhibition is in two parts: the first pulls together recent works that consider these ideas via the diverse discourses of craft and costume, painting and sculpture. This assembly of works is the prologue to the second: a new immersive theatrical scene which is part of a current project that consists of costumes, props, and scenic displays from a play the elaborates a fictional dialogue between three historical figures: constructivist textile designer Varvara Stepanova, prohibition-era sexologist Ida Craddock, and turn-of-the-century bohemian and dandy Florine Stettheimer. The project filters these three women’s aesthetics and politics together to produce relics of an imaginary modernist feminism that managed to combine the intellectual, the spiritual, and the tangible. Adopted as a means to make floor coverings from humble, recycled materials, rug hooking enjoys a long and creative history in Canada. For this exhibition, Calgary-based artist Yvonne Mullock, along with members of the The Chinook Guild of Fibre Arts, will transform Esker’s project space into a live, functioning workshop. The artists will produce a hooked rug over the course of 10 weeks using materials sourced from local neighbourhoods, such as threadbare clothing and old household linens. 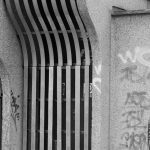 Tobias Zielony’s photo- and video-based series Vele explores the legacy of Le Vele di Scampia, a monumental Brutalist housing complex in northern Naples built by Franz Di Salvo in the 1970s. Originally hailed as a revolution in urban social housing, the complex was subsumed by the Camorra crime syndicate even before completion. 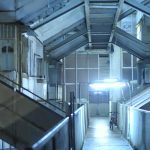 Zielony’s shifting, hallucinatory video and eerie photographs of the structure and its inhabitants explore the failure of utopian architecture that has literally and figuratively crumbled into a reality that is at once both nightmarish and banal. 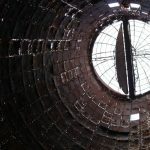 Known for installations that the artist describes as a mode of “thinking through building”, in which the act of construction is akin to a process of drawing or sketching, Esker Foundation presents Bomford’s Prague Air Vents, a series of large scale photographs that act as both studies of and investigations into the folly of civic architecture.